As many of you have noticed the energies of the past few weeks have been unsettling to say the least. Lots of ups, and downs, complete disconnection from the source intermixed with total unity and incredibly powerful bouts of connectedness. 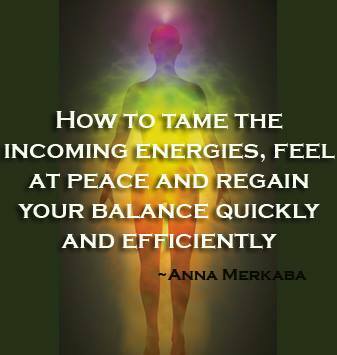 Rapid influx of energies that were scrubbing and cleansing us from inside out. But above all, CHANGE. Much has changed all around us. And I know that you all have noticed since many of you have shared your experiences with me. The change that most of us have noticed is sudden change in your relationships with others. A complete overhaul, if you will, and a push to recognize and truly open up, not only to your own self, but those around you. The honesty that has been flowing forward has changed the nature of relationships that we are accustomed to. Many of you have noticed the same patterns emerging which you have seen before, but this time you are able to understand the necessary steps to take in order to turn these seemingly identical experiences from the past into a different pathway with a different outcome, bettering you lives in the process. Since earth is constantly in motion, and is spiraling upwards through the ascension corridor, we are bound to see these recurring themes enter and leave our lives over and over again for a while. That is until we finally let go of everything, and finally release everything into the light for healing and transmutation. What I am being told lately that this will continue to be in effect for a bit more, as we get closer and closer to another huge portal of light that is coming our way in December. So my suggestion to all of you is to continue learning and releasing, releasing and letting go of everything that comes up. Believe me when I say that I understand how exhausting and annoying it can be, to keep being faced with the same circumstances, emotions, body aches over and over again. When you think you’ve already let go of some particular aspect of your life, and are skipping along happily, only for it to reappear again! However, this is only an indication that you have not fully let go, you have not cleansed yourself of the remnants and most importantly you have not truly understood the reason for this or that occurrence. However, this will continue. Also, I want to remind you once again, that although for most of you who have been following my posts since 2012, a lot has transpired and changed. There are always more and more awakened souls that are finding out about ascension DAILY! Therefore, I will be talking about letting go and releasing quite frequently now, as we are rapidly approaching a transitional point, and because of that, many are awakening. I would like to share something else with all of you. We definitely have entered into another dimension. What’s more we truly are spiraling and merging timelines. Everything is happening at rapid speed and something very interesting happened to me. I want to share this with all of you, in case you too experience this, so that you can calmly acknowledge this situation and not think you’re going crazy. I know many of you are already used to seeing things, but there are so many of you who are just awaking. I’ve been having various visitations frequently, but I haven’t seen anything like that before. As I was preparing for sleep I closed my eyes for a moment and suddenly opened them to see myself walk through the room that I was laying in bed in! I looked as if I didn’t notice that I’m also in bed, simply walking by it. I then did a double take, but the me that I was seeing walking did not disappear. I pinched myself and I was wide awake. I was not even in that pre sleep state. I couldn’t believe my eyes! And I am used to seeing odd things, but this truly made me think. About a few seconds into this experience the me walking around disappeared. I then asked my guides and they explained that timelines are merging, and because of that we will be finding ourselves faced with these types of encounters of our own selves even from the day before, as we are literally merged, fused together. All aspects of our selves are coming together, because we are moving into a time without time. The time of NOW. Where everything is happening at the same time. 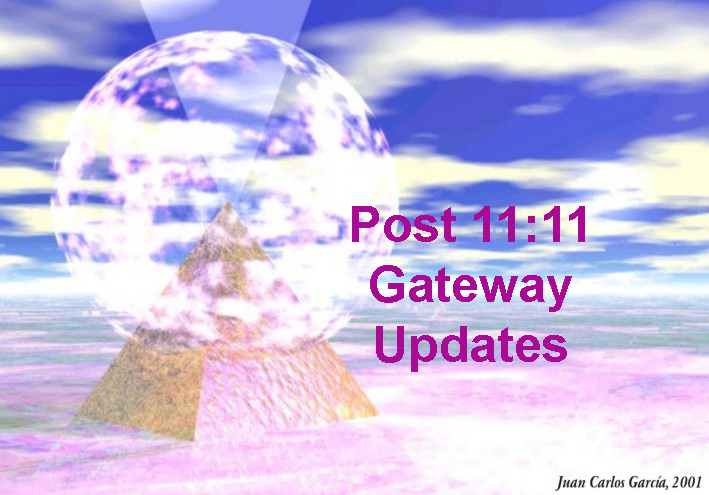 I also wanted to say that this last portal on 11:11 (Nov 11) was and still is absolutely amazing!!!! So many incredible things are happening all around. Not only to me, but all around!!! I am blown away by everything that is happening! I know many of you are having amazing experiences, but I wish to highlight the one that I’ve received from Petra. A Beautiful Lightworker who had a healing session with me. Here is what she has experienced and what she has done for humanity! “Yesterday I was scheduled for a spiritual house cleansing in Frankfurt City. Before hand we knew (I did it with a friend and collegue), that there were a dozen earthbound spirits, the house was bombed and burned during the second world war – and right in the very next neighbourhood (two houses further), is huge building, nowadays a school. What the owner didn´t know, until a week before, was, that this building was an SS-barack, with prison, where they tortured people and where they sold all the belongings of the Jewish people, whom they sent in the KZs. And finally on my end, I was pulled into a portal and along side many angels and light beings, we have released many light codes that are bathing the earth in loving light at the moment, therefore you should begin to feel a lot of release, and uplifting energies all around you. Once again we have entered a new terrain, a terrain of magnificent change! thank you so much Annna. Love to you. I feed hurt everywhere on my body; my head, my finger, my arm, my leg. Is that because of the “Rapid influx of energies” ? Hi Anna, over a month ago I also had a timeline merge experience. In my case, I was much younger in the other timeline, But I was able to see myself as now and the other me in the other timeline at the same time while awake. This is so strange ‘cos your message and this whole portal update just appeared on the inbox yet in the deleted section it appeared much earlier!!! That’s what you’d call a timeline jump!!! Co(s)mic joke I feel!!! I’ll just check when the one in the deleted section was posted. Gosh! The deleted post was posted at 3.03am! The one in the inbox was posted at 22.21 pm. The time over here in England is approx. 8hrs. forward here, so I don’t know if I’m stating rubbish info. here yet it does feel like a whacky timeline joke!!! Gosh, AnnA we really are in for a ride now!!! We’re going to be meeting up and partying in very strange circumstances soon WoW!!! In our nighties or who knows what else…ha ha ha ha!!! If we don’t see ourselves walking around, are we then on the WRONG ascension path? The stay stuck path? I have been releasing a lot of grief from difficult events in my childhood and the subconscious patterns that ensued. This grief usually comes up on the full moons. I am so happy to let this release from my system and I appreciate your confirmations as it sometimes feels a little ENDLESS! but your messages remind me to be patient. It is a profound time. I enjoy hearing your experiences. Just sending a dart note that if you don’t receive any messages from me, it’s due to the connector on the recharger bit on the computer:( Have to save up for another computer! Real life, well technology life in this reality really kicks in with a knock-on-effect sometimes!